So far you must have seen many corporate events organized in a regular pattern. These corporate events include seminars, conferences, trade shows, board meetings, felicitation events, product launch events, etc. Over the years, these events do not look upgraded in their presentation nor in their organization style, whatever may be the reason but it remained limited to its standard format. But now a handful of event organisers have become gutsy enough to step out and try novel ideas. The motive behind introducing these ideas are surrounded around the rim of bringing more attendees to events, brand awareness, easy walkthrough to the product, hassle-free registrations, networking and lead generation. Let’s have a glance at some of these new proposals. 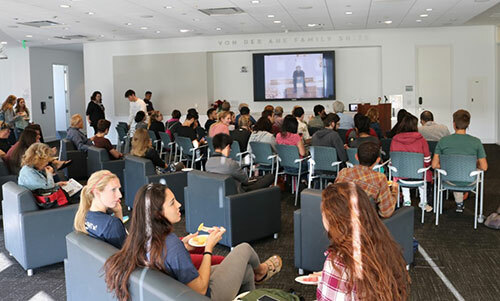 · Replacing long corporate sessions over the day with short and precise seminars for targeted audience with proper video displays. · Conference meetings followed by organization milestones celebration limited to company employees, clients, and vendors. · Irrelevant to attending events, host a trade-show for brand awareness and represent as an industry leader. · Arrange corporate and team building events, where executives get along with employees playing out-door games and other physical activities. 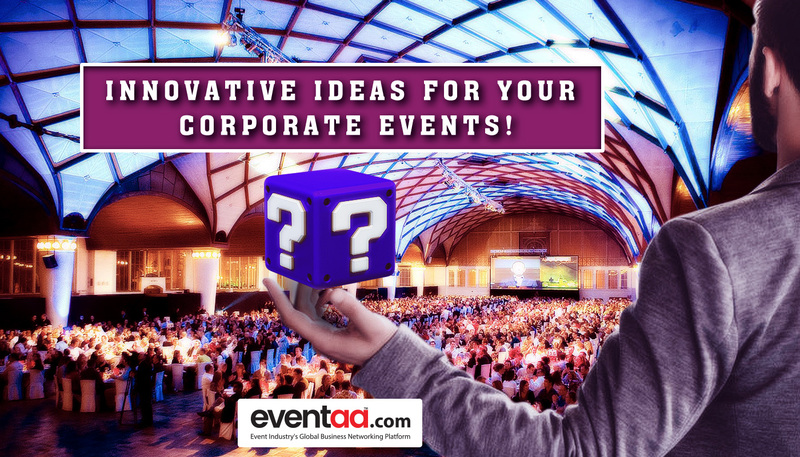 There are many such ideas along which event organizers can plan their events but it will take considerable time to adapt to these new ideas. Beside the above proposals, there are few more tips that they could utilize to revamp their events. As we know, event exhibitors have to make the circle out of square. Emulsify your event with an artistic blend. Embossing 3D painting near your booth will speak more boldly than your words. When event visitors are on a fast-track, they just skim the product; at this point of time giving visuals through 3D paint could be a creative way to present the product or service. It will break the streak of monotonous presentation, exudes new look to your booth and gives upper-hand on summarizing the product/service. QR code scavenger’s hunt is a new concept that drives visitors to the event. In scavenger’s hunt, you can simply place virtual clues related to your products or services around the booth, and let attendees explore the clues and learn about it. To make it further interesting you can deploy vending machine around the booth that dispatches free goodies by answering what they learnt during the hunt. Fundamentally, visitors like to indulge in event actively; giving them this chance through “fishbowl conversation” the gravity of the event can be enhanced. In fishbowl conversation, among the expert’s panel-list, one chair is reserved for the audience. Any individual from the attendees can take the seat and join the conversation. Speakers and Influencers always tend to transit the events, but with this approach, the look of the event broadens up further. 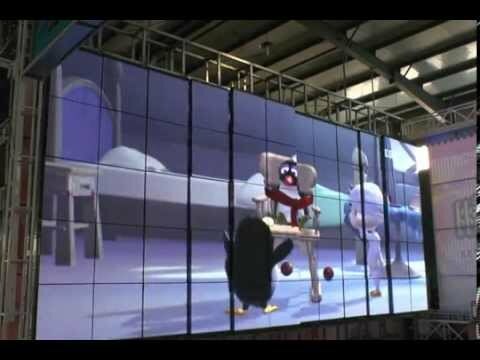 Wall-to-Wall LED screen makes your product intimidating to your visitors. Covering every nook and corner of your Booth with LED display will help pop-out your product explicitly. Even those visitors who are not interested in your booth, can see the screen’s magic standing out to them from a distance. Dedicated selfie zone with a background displaying your product is not something new. 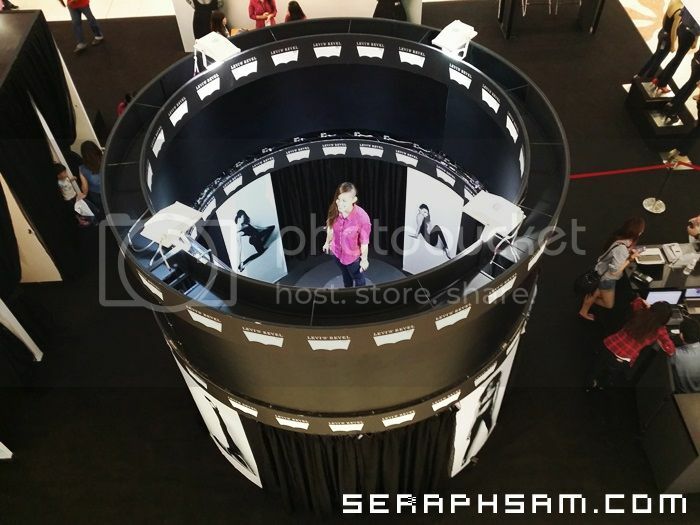 To magnify this experience, you can use an interactive 360 booth by Ohsome. It could be expensive, but worth it. The booth has 72 HD cameras installed when attendee steps in; it prepares a video of the attendee with music and a branded intro & outro. Attendees are immediately sent an email to a branded website where their final video is hosted. When shared on social media, it will make your brand famous and increase traction on social media platform. Walk the ramp with your product or hire professional models. If the product is heavy or too large to carry, then use 3D pictures of the product. 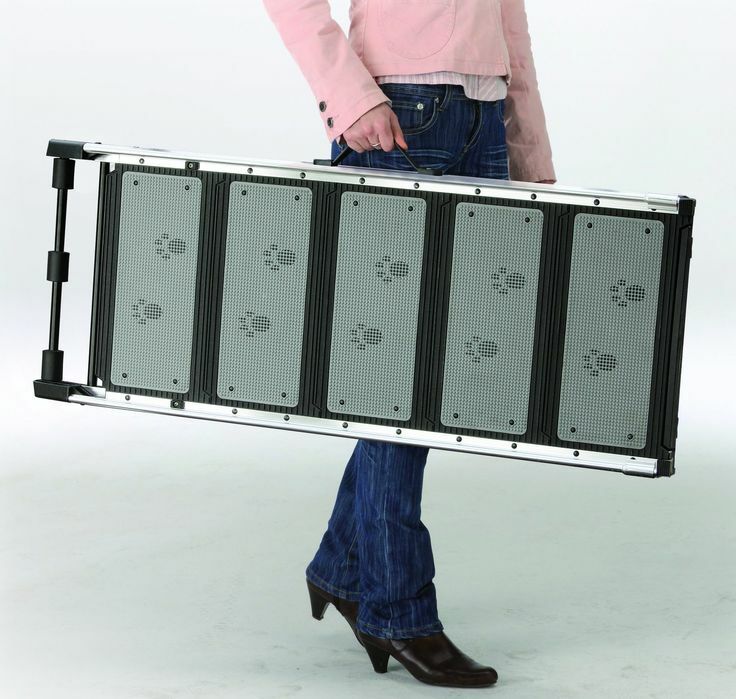 For service base, you could hold a seminar in parallel to cue-card display by your popular models. When you do a webinar, deploy 5-6 standing table mounted with LED screen. The screen displays all product details and allows attendees to post their feedback on the rise. The advantage of this is that each table has 4-5 people, and it will give them an opportunity for networking as well. Visuals leave deep impact on memory, and they tend to be remembered even after weeks or months. 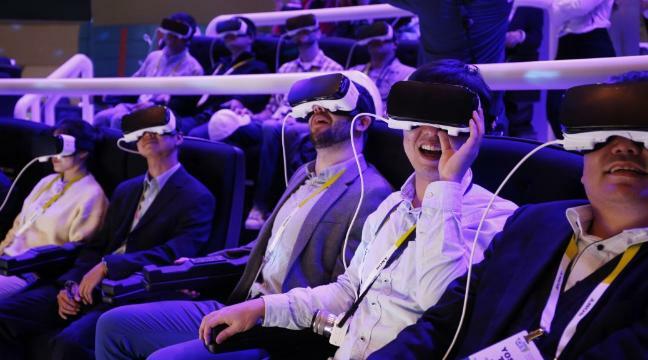 ü Virtual Reality headset imprints product on event attendee’s mind clearly and accentuate the senses to feel it almost real. ü Gesture control screen allows attendees to take a product-tour at their comfort. Imagine a transparent screen with GPS locator and communication capabilities at the event with all details and attendees browsing without any human intervention. ü For exhibitors, Bluetooth/Beacons work like a magnet to attract visitors. It is a new revolution in technology, especially for the event Industry. The message alerts and push notifications are sent through beacons when attendees come closer to the stall of their interest. Corporate Events could become cumbersome for attendees if refreshment zone is not infused. But event exhibitors can use this confined area into their field area without intervening visitors moment, using the hand-on utilities like lounge furniture, Wi-fi connectivity, table teams, etc. For instance, a LED screen giving brief about the event stalls or live speaker’s interviews. You can also throw some magazines in the cell related to industry, or you can place your table-team near this zone for breakout session (one-to-one interaction). 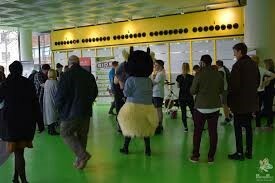 Turning back to basics, deploy reporters or the company’s mascot figure across the event indulging with attendees in a playful manner giving ongoing event briefly, post-event debriefs, and collecting ideas from attendees. There are other ways where event organizers can boost their corporate event. There is a mammoth shift in organizing events from a mediocre to grandeur event in last one decade. It also implies that it demands creativity in approaching the attendees, and even audience expectancy has grown from event exhibitors. To gratify their expectations, the above assorted techniques could do more than you ever thought. It’s now a matter of time, who makes the first move. If you are the one who hesitates to try out these techniques, you can seek help from the network of corporate event exhibitors over here.